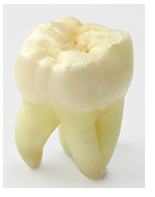 Your last teeth to come in, known most commonly as your wisdom teeth, are your third molars. They have been referred to as the "teeth of wisdom" since the Seventeenth Century. Since these late molars usually appear between the ages of 17-25, you are thought to be "wiser" than when your other teeth erupted and have entered adulthood. The basics of good oral hygiene is proper brushing and flossing. The purpose of brushing and flossing is to remove plaque causing bacteria from your teeth everyday. Your toothbrush is the tool you use to remove plaque and you want the best tool for the job. Research as proven that an electric tooth brush is the best choice. 1. Electric toothbrushes calibrate the ideal brushing time (2 min) and may have pressure sensors that prevent damage to gum tissue. 3. 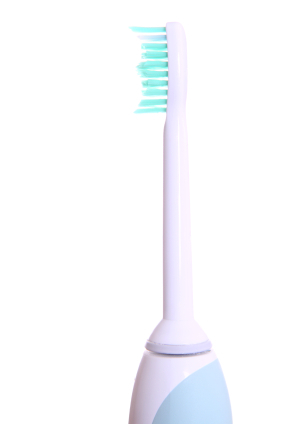 Research has proven when used properly electric toothbrushes remove plaque more effectively. 4. An electric toothbrush does the job for you. The point of brushing is a clean, health mouth each and every time. Choose the best tool for the job and brushing will not only be easier but more effective. February 28 is National Tooth Fairy Day! All over the world today, the traditions and legends of the Tooth Fairy are carried out. But where did this legend begin? Mythical legends and stories have been shared for hundred of years about the loss of baby teeth. The Vikings believed that baby teeth held magical powers that would help them fight in battles. They would pay their children for their lost baby teeth and use them to string on to battle necklaces and jewelry. Over time, people began to share a story about a Tooth Mouse who would scurry around taking children's teeth at night. The story of the mouse transformed into the story of the Tooth Fairy who would fly around leaving small treasures in exchange for baby teeth. Parents encourage this tradition as a useful practice for young children because it gives them something to look forward to when baby teeth fall out. Children can look forward to approximately 20 visits from the Tooth Fairy between the ages of 6 and 12.